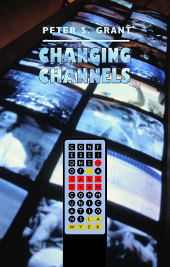 Peter Grant’s memoir, Changing Channels, recounts a life dedicated to guiding Canada in its journey towards a distinctive place in the world of popular culture. In documenting his wide range of experiences, from stints at UNESCO and the CRTC, to advocating for the underdog in regard to communications and cultural policy, Grant establishes himself as Canada’s authority on communications law. 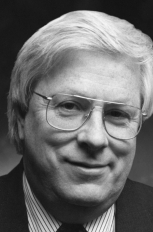 Renowned advocate and legal trailblazer Peter S. Grant has acted for – and against – virtually all of the major players in the Canadian broadcast and telecommunications industry. His résumé features stints as a rapporteur for UNESCO, Special Counsel for the CRTC, Broadcasting Arbitrator for Canada’s political parties, and advocate for the underdog in the David-and-Goliath struggle to expand Canada’s culture industries. 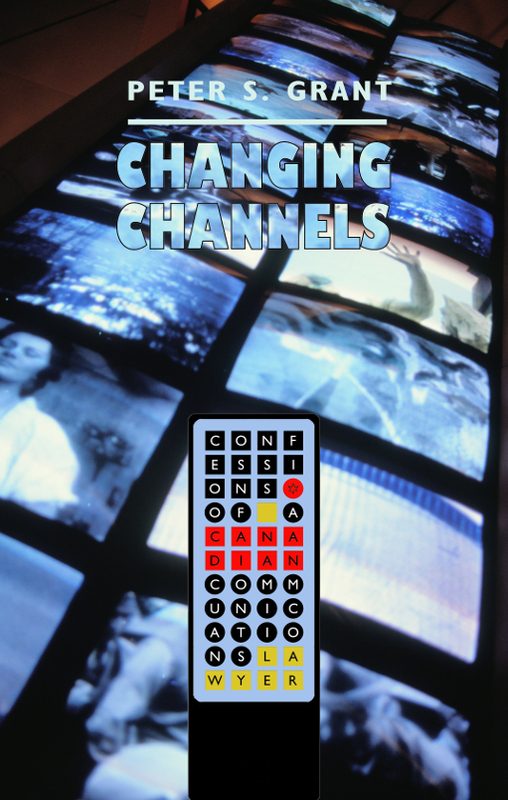 In his sweeping memoir, Changing Channels: Confessions of a Canadian Communications Lawyer, Grant affords readers an insider’s glimpse into some of the biggest changes in the history of Canadian communications policy. Interspersed with fond recollections of his hometown of Kapuskasing and anecdotes of his growing family, Grant provides an eye-opening account of the Canadian communications industries. He documents his role in regulating the telecom carriers, increasing competition among service providers, and acting for dozens of broadcast programming services in front of the CRTC. Grant’s reasoned prose highlights his far-reaching expertise in all areas of communications law and cultural policy, and makes his story compelling to anyone who has picked up a phone or turned on a television set. Should Cable Systems Support Canadian Broadcasters? Should Internet Service Providers Contribute to Canadian Content? A concluding chapter with up-to-date rulings and summaries is to come. ‘What a success story, being both builder of a practice and its most erudite scholar. ... Although we often differed in the positions we took, I find your recounting fair and accurate. For anyone wanting to understand the Canadian communication scene, your book, in my view, is a must. It was a crisp fall day in Paris. Tourists lined up as usual to ascend the elevators to the top of the Eiffel Tower. From there, they could see the UNESCO headquarters only a few blocks away. Built in 1958 at the Place de Fontenoy, the UNESCO complex is easy to recognize. The main building is a Y-shaped structure that has won many architectural awards. The conference venue is a large accordion-shaped building with fluted concrete walls and a copper-plated fluted roof. And in its largest conference room, delegates from over 150 countries were engaged on that day – October 20, 2005 – in the final day of arguments concerning a proposed new international treaty. This was no ordinary debate, for this was no ordinary treaty. It was a treaty first suggested by a blue-ribbon trade advisory panel in Canada five and a half years earlier. It dealt with the delicate subject of cultural expression, as seen in books, magazines, music, film and television. The long and rather convoluted name of the treaty was the UNESCO Convention on the Protection and Promotion of the Diversity of Cultural Expressions. The treaty had thirty-five articles and it sought to enshrine the idea that countries were entitled to support space and choice for their local cultural expression without prohibiting foreign expression, and without fear of trade retaliation. The convention was highly controversial. The United States, having rejoined UNESCO after a twelve-year absence, was trying feverishly to dilute the treaty or kill it. A few weeks earlier, it had played a last frantic card, a personal letter from Secretary of State Condoleezza Rice to all the UNESCO member country ambassadors. The letter criticized the draft convention, complained about the process and darkly hinted that the U.S. might reconsider its support for UNESCO if member states agreed with the draft. The Canadian delegation sat nervously in the crowded room. The fate of the draft treaty was out of its hands. Each country was now entitled to speak in support or in opposition to the treaty and then to exercise its vote. The U.S. had risen a number of times to attack the draft treaty and to propose amendments to dilute it, but all had been voted down. Now, as each country made its final statement, the Canadians watched with amazement as their lobbying efforts paid off. Through La Francophonie, Canada had enlisted Senegal and Benin to support the treaty, and other African countries then joined the chorus. Latin America’s support was led by Brazil, as China and India led the Asian continent in support. But now the U.S. turned hopefully to the United Kingdom, its ally in so many other venues. This year, the U.K. was the spokesperson for the European Community as well as for itself, and as its representative stood to speak, the room hushed. He started by commending UNESCO for initiating the process. Then, calmly and forcefully, he dismantled each of the U.S. arguments in opposition to the treaty. The actual wording did not support any of these criticisms, he said. In fact, the treaty was very well balanced and should be strongly supported. The voting began. As the Canadians watched in surprised delight, country after country rose to endorse the document. The final vote was overwhelming: 148 in favour, 2 opposed (the U.S. and Israel) and 4 abstaining. On March 18, 2007, three months after at least thirty countries had ratified the treaty, it came into force. But it was widely understood that the Convention would not be seen to have broad applicability unless a significant number of countries – say fifty or sixty – ratified it. Soon enough this also occurred, and by the beginning of 2013, the Convention had been ratified by 125 countries around the world, including large and small players from every part of the globe. The international support for the Convention and the speed with which it has been ratified have been almost unprecedented. Even Australia, which abstained from voting for the treaty in 2005, had a change of government and ended up ratifying the treaty in 2009. The result was a stunning victory for those who felt that the rules of international trade needed to defer to the desire for cultural diversity. At the same time, the debate revealed what appears to be an unbridgeable chasm between the position of the U.S. and the rest of the world. On October 20, 2005, at the time the vote on the Convention took place in Paris, I was back in Toronto. I was practising communications law with the law firm of McCarthy Tétrault LLP. But I had a special reason for savouring the UNESCO victory: I had been a member of that blue-ribbon trade advisory panel in Canada and I was the one who first suggested the idea of an international treaty to support cultural diversity. Later, after the Canadian government had endorsed the idea and efforts had begun to convince other countries around the world to support it, I had co-written a book supporting the idea of such a treaty. As I celebrated the UNESCO vote, I had occasion to reflect on my somewhat curious career. As a Canadian lawyer, I was practising in the area of communications and cultural policy. Of course, when I was called to the bar in 1969, there was no such thing as a “communications lawyer.” In that regard, I can immodestly take some credit for pioneering this field. At the same time, my experiences were at the centre of Canada’s coming of age in this area. We are now in an era when the communications industry has “converged” to an unprecedented degree. Two decades ago, the big news was the entry of the telephone companies into broadcast distribution and the entry of the cable companies into telephony. But in the last decade, these same companies have acquired most of Canada’s programming services as well. This degree of consolidation is frankly unprecedented around the world. My career exhibited the same convergence of content and carriage. My initial interest was in how the Canadian content rules applied to Canadian television. But I rapidly became interested in how the telephone companies were regulated, and I spent a number of years fighting Bell Canada for fun and profit. Later on, as my career developed, I also found myself attracted to the Canadian cultural industries – including book and magazine publishing, sound recording, and film and television production. This turned out to be highly prescient, since communications and cultural policy in this country are deeply intertwined. All these events involve Canada’s cultural industries and the government policies that support them. I was lucky enough to be a participant in them. It may be surprising that someone coming from small-town Canada could be involved in all these happenings. Before I became a communications lawyer, in fact, I nourished the idea that I might become a composer and arranger of popular music. Obviously I got side-tracked. As I disclose in this memoir, my whole career as a lawyer focusing on Canadian content and communications law was based on a paper I wrote in my second year of law school. But more about that later. First, how did it all get started? Peter S. Grant was born on November 26, 1941, and grew up in Kapuskasing, Ontario. He enrolled in Victoria College at the University of Toronto, and in addition to studying political science and economics – and later law – he spent two summers in the ‘Arrangers Workshop’ at the prestigious Eastman School of Music in Rochester, New York. After being called to the bar in 1969, Grant joined McCarthy & McCarthy, currently McCarthy Tétrault, one of Canada’s largest law firms. Grant has since been instrumental in establishing the field of communications law in Canada, working as and Special Counsel to the CRTC, consulting for UNESCO, and acting as the Broadcasting Arbitrator for Canada. He is the author of numerous articles and publications, including the Canadian Broadcasting Regulatory Handbook as well as Blockbusters and Trade Wars: Popular Culture in a Globalized World, co-authored with Chris Wood. He currently sits as Counsel at McCarthy Tétrault, and as Adjunct Professor at the University of Toronto and York University. He lives in Toronto.